I am sick again, caught a quite exhausting cold, but I am still out there in Varanasis’ angular ancient streets! I love to walk around, with open eyes and a curious mind. There is always something to discover, something that is new or fascinating (not always nice!) and makes it worth to stop and get closer. Also the kites in the air are so nice. 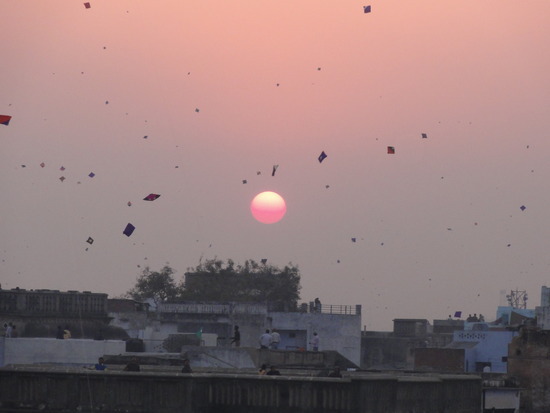 Today as finally the sun came out I got up the rooftop of my little hotel and saw so many boys AND men with their kites on the rooftops. They were happy and all kites seemed to fly together! I am trying to take care of myself, take a rest when I need it and maybe I caught that cold because of the coldness and all the ash flying around. You know, the ash of all the dead bodies which are burning here everyday … but about that I rather write another time. As I am coughing and sneezing, people around me are really nice to me. A lot give me all kinds of health advice and attention. They all want me to be well as soon as possible. Yesterday evening Claus provided me with vitamin pills which he offered me drinking his second Indian kingfisher beer out of a German Weizenglas like a real dutch! Politely I took one of the glorious pills. 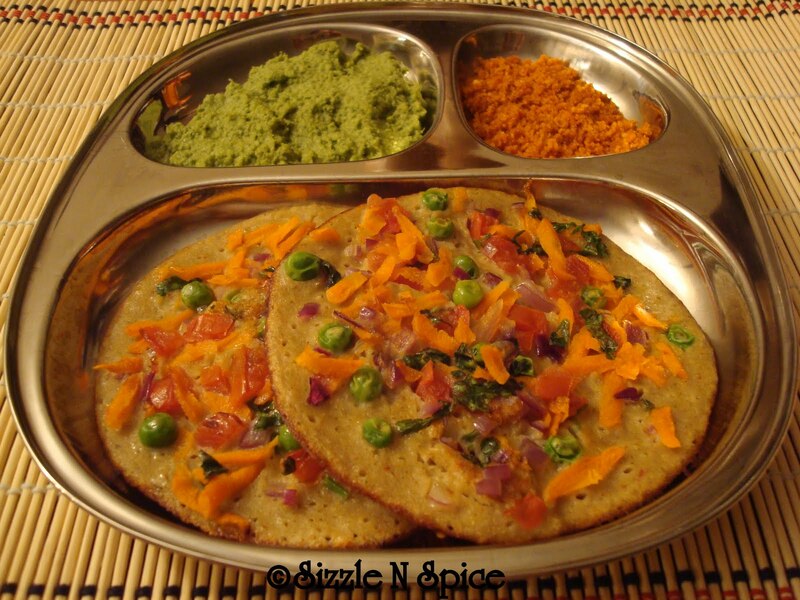 Right now while I am writing this (later I will type it) I just have eaten a delicious uttapam I feel already better. An uttapam is kind of a south indian pizza and I really like it. The owner, well one of the 4 brothers gave me hot saltwater to gurgle which I did instantly in the restaurant. Also I should buy some Wick Vaporup , do inhalations and cream blocked sinuses with vaseline for 5 rupis available. He offered me to send his “servant” over to get it for me. But I refused that offer explicitly. This morning I dragged myself with a running nose and a head that felt twice as big as it is to my tailor in Varanasi. Even I promised myself not to buy anything typical Indian I did and it is beautiful. Really wonderful and I love it! The alternation of the dress-like shirt was supposed to be ready but I arrived so early (11 o’clock) that the owner just started his morning ritual. I seated myself in a plastic chair and recovered from my walk. Then I witnessed his daily ritual of dust sweeping, folding blankets and shawls, cleaning the windows of the sari fabrics and changing a light bulb without shutting down the electricity. He got a little electric shock but he seemed to be used to that. After that he took care about the little altar and the gods. He splashed a little bit of Ganga water on the statues, his head and the shop and then he lit up some sandalwood incense sticks to feel closer to the gods and prayed. I had the impression it did not made any difference to him that I was there. All his movements and acts were clear, disciplined and practiced for years and years. Unfortunately I cannot upload any of my pictures from my camera anymore… that is annoying but I hope I can get it fixed soon. The two pictures are not mine, but mine look very similar! I would have loved to show you my dress, but not this time. This entry was tagged hindi ritual, Indian support, kite, tailor, uttapam, Varanasi. Bookmark the permalink. Ob du wirklich nächstes Jahr in Deutschland sein wirst? – Manchmal finde ich den Gruß unter Juden, “Nächstes Jahr in Jerusalem!”, gescheiter: Da bekommt die Heimat einen mythischen Nicht-Ort, u-topos. Vielleicht können wir damit besser leben. Gesegnete Weihnachten – und Gott behüte dich! fixiert … kann sich auch wieder legen. so lange schlafe, bis ich mich auf dem Weg zum Flughafen um 1Uhr nachts mache.